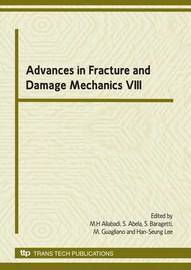 This special collection covers the latest theoretical, computational and experimental research on fracture and damage mechanics as well as on structural integrity and durability. It therefore covers a remarkably wide range of topics: Fracture mechanics, Failure analysis, Corrosion, Creep, Non-linear problems, Dynamic fracture, Residual stress, Environmental effects, Crack propagation, Repair techniques, Composites, Ceramics, Polymers, Metallic and concrete materials, Probabilistic aspects, Risk analysis, Damage tolerance, Fracture control, Computer modelling methods (Finite elements, Boundary elements and meshless), Microstructural and Multiscale aspects. 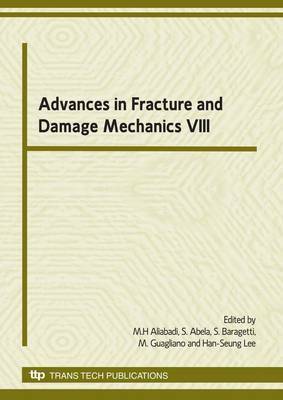 This work therefore presents an up-to-date overview of the latest developments in the fields of fracture and damage mechanics, and will be essential reading for anyone having an interest in this key research field.